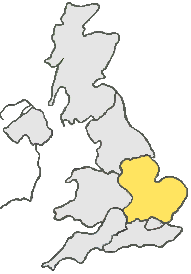 The city of Oxford is served by the M40 and a ring road consisting of the A423, A40, A4142 and the A34. These roads are very convenient, for Courier Expert’s same day couriers, when they need to collect an urgent delivery from Oxford. Courier Expert’s drivers always aim to pick up at the time specified by you, when a same day delivery is booked. So if you need to send an item from Oxford immediately, give us a call or obtain a quote online. So if you are looking for a Same Day Courier Oxford call us now on: 0333 323 2203.